With Salt Lake Comic Con FanX 2014 now behind us, we’re looking back on this record setting SLC event. 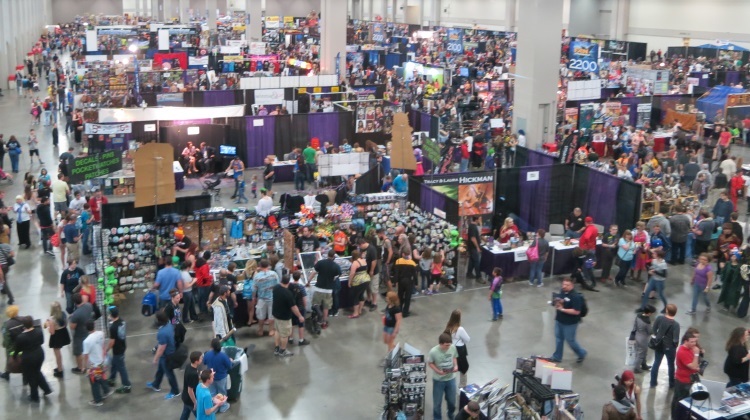 FanX had more than 100,000 attendees to become the third largest Comic Con in the United States, the largest convention in the state of Utah and the largest Comic Con in North America per capita. Salt Lake Comic Con’s Facebook page is now the most popular page in Utah – managing to reach 2.5 million people in just one week. Indeed, the Salt Lake Tribune mentioned that FanX even assisted setting a new three-day UTA ridership record. During the three days (Thursday-Saturday) of the event, UTA reported 250,000 trips on TRAX and FrontRunner. Heck, a new world record for the largest balloon sculpture by one man was set at the event too! FanX included a last minute coup in securing Sir Patrick Stewart to the convention’s already star studded lineup that also included cast members from Star Trek™, Star Wars™, The Walking Dead™, Firefly™, X-Men™, Doctor Who™, Battlestar Galactica™ and Power Rangers™ as well, as comic book artists and authors from both Marvel™ and DC Comics™. The second annual Salt Lake Comic Con will be held September 4-6, 2014 at the Salt Palace Convention Center. Similar to FanX, the September Comic Con will encompass the entire Salt Palace show floor but will expand to neighboring convention space. Tickets for the September Comic Con go on sale May 2014.